Hey guys, how is everyone? Sorry we haven't done a blog in a few weeks. We've been working a bit lately so haven't been out and about too much. But last sunday we both had the day off and it was a beautiful, warm, sunny day which we have had a few of lately actually. It's really been warming up here heading into spring. So we made the most of the weather and drove down to Dover for the day. 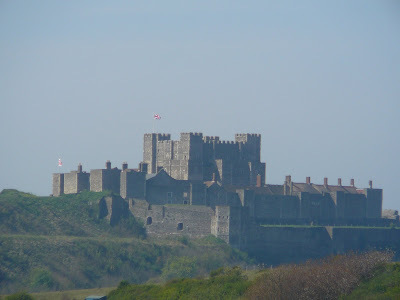 Dover is about an hour and a half drive south east of London on the coast. 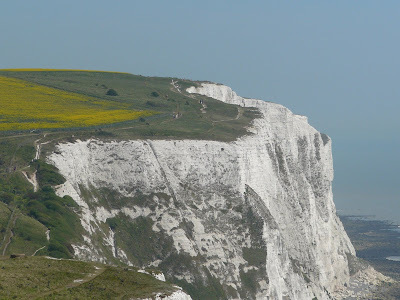 We went to see the 'White Cliffs of Dover' and saw the castle there too. It was worth the drive but the town itself is not very nice. 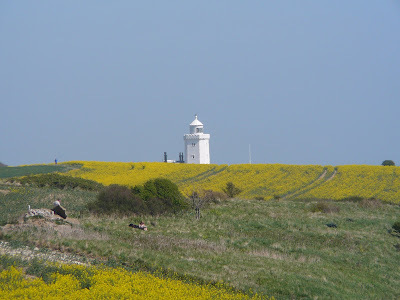 It is really just a big port where people leave from to travel across the English Channel to France. 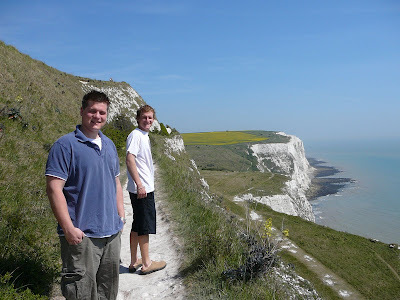 The white cliffs are quite spectacular and we had never seen anything like it. 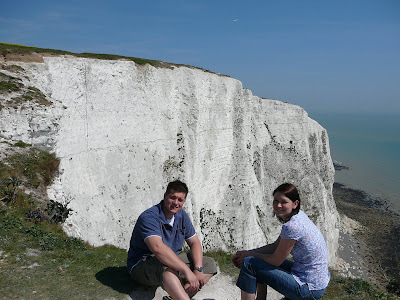 They are white because of the chalk at the cliff face which is 250m deep. 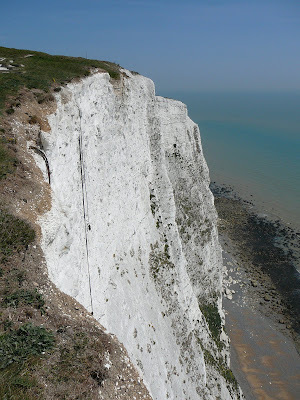 They are about half a million years old and formed when the English Channel of water separated France and England. Here are some photos we took when walking along the top. We later read that the chalk is crumbly and to stay 5m from the edge! The guy in the photo with Sam is Blake. He is from Rockampton & Sam has become freinds with him through work. He is here on his own and arrived 2 weeks ago so we invited him to come for a drive. He seems very nice. 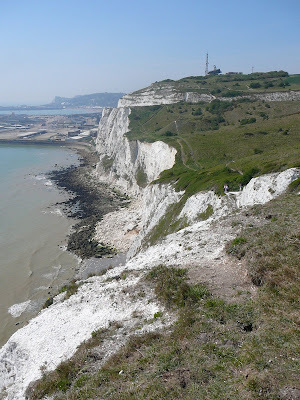 We also had a little look at Dover castle and took a tour through it's 'secret wartime tunnels' which were dug out deep into the soft chalk cliff face. They were built in the Nepoleonic Wars and expanded in WWII. They were used for secret operations - quite interesteing. all these photos and history will save me from having to go over to the old dart ! !